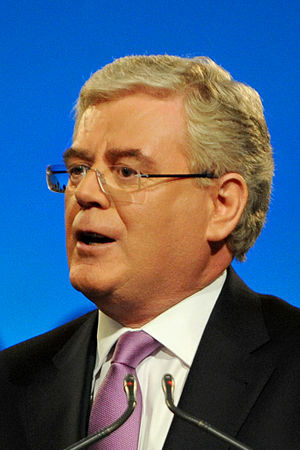 Phil Hogan, his Household Tax and Abuse of the Elderly. Well, the Fine Gael – Labour Coalition Government which was to bring in sweeping changes and provide the Irish Citizens with a new fresh pro-people Agenda, is this week engaged in terrorising the most vulnerable in our Society, the elderly. The days of get rid of Fianna Fail, those corrupt politicians, seems a long way away, now that Enda Kenny and Eamon Gilmore have taken power. Election promises are out the window while statements by Labour Chief Gilmore such as ‘Labours Way Not Frankfurts Way’ now seem laughable. This Government is a carbon-copy of what preceded it and are solely concerned with implementing the dictates of The Troika to the detriment of the Citizen. While in the Post Office last week, I witnessed a distraught pensioner enquiring if she could pay the Household Tax at the counter. She was informed that she could buy a Postal Order and then post it in. She seemed confused and asked how much a Postal Order would cost and I think she was told Two Euro. She said she’d have to think about it as she was confused. Later I came across the same lady with some of her friends in a local shop as she searched for bargain cuts of beef to take home to her invalid husband. She was near to tears. I visit my mother in Nazareth House whenever possible. My mother has a short-term memory problem as do a lot of other residents. Some spoke with me regarding the tax, clearly distraught. Others seemed really angry at the threats being made by Government politicians on the radio and were determined that they would not be paying the tax. They said they’d go to Jail before they would pay. Some residents still own their homes. One American lady told me that she paid Property Taxes when she had her own home in California. She said they were to fund the local school as well as other local amenities. She was happy to pay these as she felt she was contributing to her local community. I asked her would she pay the Household Tax here and she replied in a stong voice NO! She told me that she had paid Thousands of Euro in Stamp Duty when she moved back to Ireland. ‘I never paid Stamp Duty in California’ she told me. She had been advised that in Ireland we had no household tax but that the vast amount of stamp duty she had paid would be the Irish Equivalent to the Household Tax. She was furious that she was now being asked to pay both. She became distressed and I decided it prudent to leave her in the care of the helpers. I must say she was a lovely woman. Fair to all she met and now was suffering unnecessary stress by being Threatened with this new Tax. I might add that I only know of one resident who has a computer and that is an old IBM type, which she uses to maintain links with her family in Austria, by email. 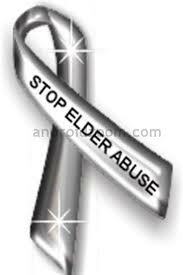 Elderly abuse is horrific and one which has come to the forefront in recent years. I’m told that in Emmerdale, on the TV, that Ashley, the vicar, is abusing his father and that the story will run for the next while. In the course of my business I have many an occasion to deal with elderly people. They are great, amusing, sad, happy, in fact you witness a wide range of emotions. The one thing you do is to try to put their mind at rest. Deal with their problems and anxieties in a caring manner. They are vulnerable and society does not always deal them a fair hand. You can imagine my frustration and indeed anger while listening to Phil Hogan and his lackies threatening people to pay up or they will be charged extra and indeed will be prosecuted. Someone mentioned Jail. Well it was in the context that people would not be sent to Jail. Well, what did the elderly hear? They heard Court and add one and one together to get two, which means they’ll be sent to jail. I do not know Phil Hogan personally, but wonder whether in his previous incarnation as a school teacher and auctioneer that he developed an arrogance about him which is now coming to the fore. Let’s look up what Fine Gael have to say about him… ”He is the tallest person in the Dáil at 6 feet 5 inches. He rarely misses a G.A.A. match where Kilkenny are playing. He is good card player which is an essential requirement in politics.” Well, need I say more ! Today in Smithfield, The Rebels launched an attack to the south of the Four Courts where the Government Storm Troopers have been garrisoned since the suspension of the Law Courts last month. A source close to the Rebel command informs us that they have this morning, occupied the Jameson Buildings. It would appear that the attack on the Walkinstown Headquarters of the Rebels last Thursday, when Government militias summarily executed the hundred plus occupants, has prompted this current occupation. A Government spokesman said that such actions will not be tolerated and promises to put down this current attempt to defy the democratically elected Government of the People. A total of over 800 rebels have been killed over the past week. In the Dail , The Leader of the House claimed that the actions of the Government Militias has been justified as the Rebels and their spurious campaign to reinstate Social Welfare Benefits are totally unjustified and Un-European in nature and will not be tolerated. The Opposition, now in hiding, have claimed that since European Forces were invited to patrol the streets of the capital, that a shoot to kill policy was in operation in the State. They claim that since the Dail was usurped by The Troika last December their lives have been in danger. To date some 20 elected TDs have been summarily executed. A Government spokesman denies these claims and blames the Rebels for all deaths that have occurred. The American President has shown concern for what is happening in Korea. Since China invaded both North and South, the island has been annexed to China. The United Nations said they were delighted with the progress in the region but noted the concerns of the President. In Manchester, England there was another night of rioting. A Conservative Party spokesman said that people unhappy with living in Council Estates should either leave the country or else buy better housing. The fact that these people have decided, as a career choice, to leave their secure jobs is no excuse to act in such an undignified manner. Outside of Dublin it’s reported that since the abolition of the Garda Siochana by the Minister for Justice, the Drug Gangs continue to fight for control of strategic areas. Our Reporter has witnessed the wholesale slaughter of citizens who stand up against these ruthless individuals. 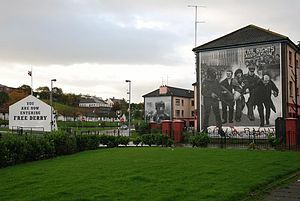 In Derry, the Republican Movement have reinstated Free Derry and is actively patrolling the area to protect the citizen again the Drug Dealers who have menaced the New Euro -Province of Ireland since its inception last July. The Fine Gael Government has denounced the Republicans as unruly terrorists who have not learnt the lessons from the Civil War in the 1920s. ‘We won the War’, stated Enda Kenny ‘and how dare they have ideas above their station’. He went on.. ‘Such nonsense as introducing a Socialist Republic will be fought at every crossroads in this United Country of ours’…’Long Live The Troika’ he concluded as he gave a single-handed salute to admirers in Parliament. The whereabouts of Vincent Browne is unknown after the collapse of TV3. His show was denounced by The Troika after he refused to be quiet at their Press Conference last January. TV3 executives have refused to comment on the assertion that it was his nightly ‘Tonight with Vincent Browne‘ programme that caused the demise of the station. Since the imposition of Single Party Government by the Troika following the refusal of the Opposition to agree to the many changes ‘suggested’ some twelve months ago, their Report issued today congratulates both Enda Kenny and his Fine Gael Party for implementing the necessary changes needed to support the Euro and the Central Banks. It would appear that the remaining Labour Party deputies, that had refused to change allegiance to Fine Gael have now been sacked. The Labour Party has now officially been added to the list of Proscribed Organisations. They join Joe Higgin’s Socialist Party and Mary Lou’s McDonald’s Sinn Fein. Independents have been listed individually. Good News for Citibank as they confirm that the austerity measures imposed in the Euro Zone and in particular in the Euro-Provence of Ireland has substantially improved their balance sheet. The Chief Executive proclaimed at a lunch in The Four Seasons in Boston that they are delighted with the success of the Troika and confirmed that they will continue to support their actions. The Annual Euro Fashion Awards have been held for a second year in the Four Seasons Hotel in Ballsbridge. It was felt that such secure surroundings would be beneficial to promote the image of Ireland as an open economy and promote Jobs. Government leaders and Militia were present to enjoy an outstanding event which was viewed live throughout the Euro Zone. The latest fashions from Germany, Italy and France were on display and a fabulous night was had by all. The Occupation in Smithfield has been stamped out. According to Government sources all those involved were killed but the Dail has been informed by General Kohn that no property was damaged. You may consider the above pure fiction. But beware. 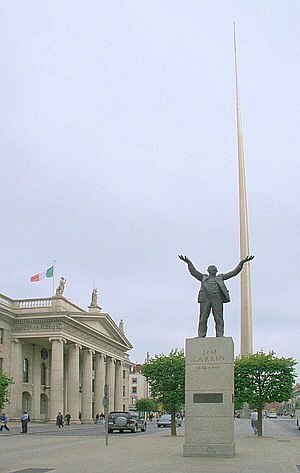 The path the Irish Citizen is being led down in the shadow of a ‘Democratic’ New Euro Zone may have dire consequences. LegalEagleStar , Wednesday , 1 st. February , 2012 .